Secretary of State Rex Tillerson warned Russia on Wednesday, saying they should re-think their commitments to Syrian President Bashar al-Assad just days after the Syrian military used chemical weapons in the field of battle. 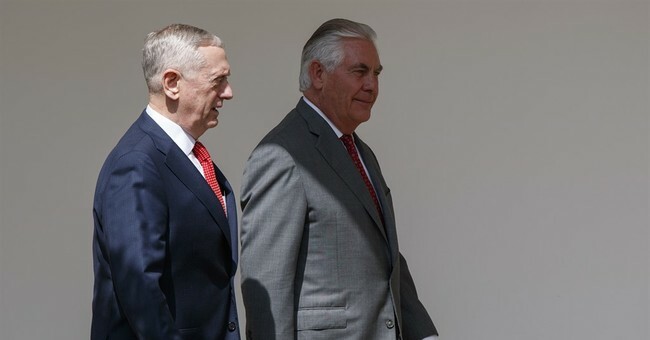 “Well there is no doubt in our mind that the Syrian regime under the leadership of Bashar al-Assad is responsible for this horrific attack,” Tillerson said on Wednesday. “And we think it's time that the Russians really need to think carefully about their continued support of the Assad regime." His comments come at the same time U.N. Ambassador Nikki Haley called on Russia to take responsibility in Syria. “How many more children have to die before Russia cares?” she asked during a Security Council emergency meeting. Tillerson's comments come just one week before a scheduled meeting in Russia.